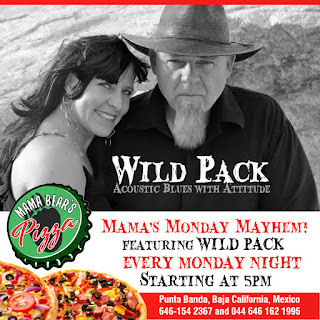 Mama's Acoustic Monday beginning April 25th! We had a wonderful time there last summer (2015) and made lots of new friends. We missed this fun place so much with great peeps and the amazing "Wild Pack Veggie Cracker" See you all each Monday at Mama Bears!